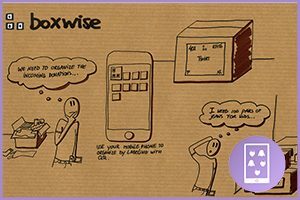 Boxwise is an open-source web application making it easy for organisations to distribute donated goods to people in need in a fair and dignified manner. Warehouses full of donated goods can quickly turn to chaos. 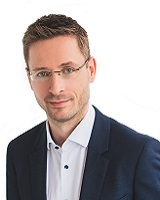 Boxwise makes sure organisations know what they have, where it is, and what they need to restock. No complicated hardware is involved — only a smartphone. Boxwise eases the work of volunteers dramatically and helps them to treat people in need as equals. It creates a respectful atmosphere by facilitating distribution according to need, where people are treated like clients, not beggars. Boxwise can be used in Internet constrained environments. As the project is open-source, long-term support and further development are secured by a large group of volunteer developers. Boxwise offers organisations a toolbox for receiving, storing and distributing donations through free-shops. The system passed the first implementation test in refugee camps in Greece with flying colours. Boxwise is engaging and inspiring.